Although there is no scientific proof, there is a large amount of anecdotal evidence that shows emotional support for cancer patients can greatly improve their outcomes. This belief is what fueled the creation of Imerman Angels. The advocacy group provides one-on-one support for patients fighting cancer, survivors and caregivers. Imerman Angels was formed by Jonny Imerman 10 years ago after he received a cancer diagnosis at 26 years old and again at 28. During his battle, he had immense support from his family and friends. This experience caused Imerman to come to the conclusion that all patients should not have to navigate this journey alone. With a background in advertising, Imerman started going from hospital to hospital and doctor to doctor, while also raising money through small events. 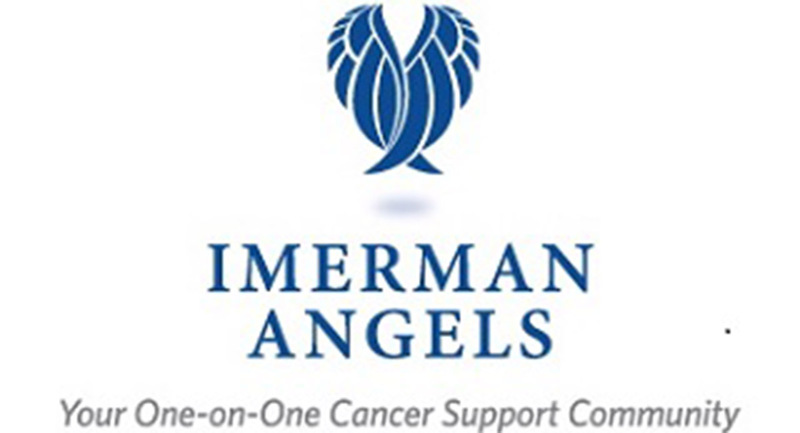 By 2006, Imerman Angels was formally launched, with a primary focus on individual support within the cancer community. Ben Bornstein, the newly appointed CEO and executive director of Imerman Angels, is a three-time cancer survivor who previously sat on the board of directors for the organization. Mentor Angels, who are cancer survivors, are at the center of the organization as they lend support to those currently battling cancer. To match patients with Mentor Angels, the group looks at demographic information such as gender, age and type of cancer. How a Mentor Angel interacts with a cancer fighter is dependent on the geographical location. If the match is not local, then communication is held over the phone, or via Facetime and Skype. As the relationship develops, they can communicate as much or as little as needed. Although one-on-one matches are the most common, some Mentor Angels can have more than one. Currently there are 7,000 Mentor Angels and over 13,000 matches and a total of about 26,000 people who are involved. Imerman Angels is headquartered in Chicago, but has a staff presence in Los Angeles and is looking to develop a full-time presence in New York. The group consists of volunteers, a medical board of directors, and professional boards made up mostly of professions that help with fundraising and events. Professional boards have also been set up in Los Angeles and New York, including race teams that participate in fundraising oriented marathons across the country. Thanks to the power of computing and databases, the group is able to make contact within 24 hours. Imerman Angels is a completely free service funded by private and corporate donations. Many cancer fighters who beat the disease end up becoming a Mentor Angel themselves. For patients who are newly diagnosed, Bornstein believes one of the first things they should do is listen to their physician and get the right care. It’s also important for patients to take an active role in their diagnosis, and to continue the fight.